The Fluke DSX-600 Cable Analyzer™ is the tool for essential certification of copper, twisted pair structured cabling from Cat 3 / Class C through Cat 6A / Class EA features speed, and reliability that makes you more efficient and productive – you can see the results on the bottom line. 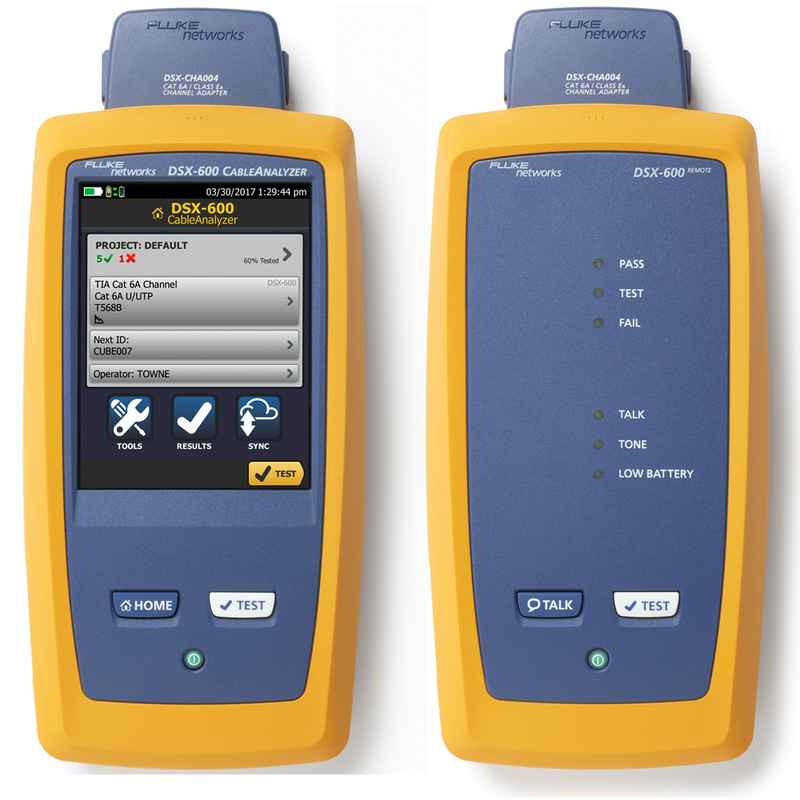 No other tester will deliver as consistently as the DSX-600. Its gesture-based user interface allows your techs to spend less time interpreting screens and more time testing. 500 MHz frequency range certifies Cat 6A/Class EA cabling for 10 Gigabit Ethernet in just 10 seconds. Advanced diagnostics pinpoint the location of a failure. LinkWare™ Live cloud-based service that lets you manage certification jobs anytime, anywhere, with anyone on any device.